Ms. Hartman has over twenty years of experience in the design and implementation of projects to support the in vitro development of therapeutic antiviral agents by biotechnology and pharmaceutical company clients. In addition she has provided both technical and professional support and project management oversight to multiple Federal grants. Ms. Hartman has a strong publication record including peer-reviewed research articles, reviews and book-chapters. Ms. Hartman has significant experience in the performance of virology services and antiviral assays involving CPE, plaque reduction, PCR and reporter gene endpoints for HIV, Herpes, Hepatitis, Respiratory and Enteric viruses. In addition to routine anti-infective screening, confirmatory and range of action assays, Ms. Hartman performs mechanistic assays, combination therapy evaluations, and selection and characterization of drug resistant viruses with small molecules, natural products, and biologics as routine components of IND-directed product development projects. She also manages the ToxiSENS platform of assays to evaluate in vitro cytotoxicity of compounds when identifying lead drug candidates. These studies involve in vitro and ex vivo assays to quantify direct cytotoxicity of development products to fresh and established human cells, permeability of agents across biological barriers including CACO-2 cell monolayers in transwell microtiter plate assays, and metabolism studies. Ms. Hartman is an expert in the performance of tissue culture with fresh cells and established cell lines as well as the growth and expansion of viruses in appropriate target cell populations. Ms. Hartman graduated from Towson State University in Towson, MD with a B.A. in Biology in 1992 and from the Biomedical Sciences Program at Hood College in Frederick, MD with a M.S. in Biomedical Sciences in 2000. Her thesis at Hood College involved the selection and characterization of viruses resistant to nonnucleoside inhibitors of HIV-1 reverse transcriptase, including the evaluation of fitness changes in viruses upon acquisition of resistance engendering amino acid changes. Ms. Hartman joined the research team of Dr. Robert Buckheit in 1992 and is a founding member of the scientific team of ImQuest Biosciences. 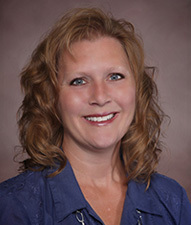 Since February 2004 she has held the position of Director, Infectious Disease Services. Ms. Hartman is a member or the American Society for Microbiology and International Society for Antiviral Research. Learn more about ImQuest BioSciences ViroSENS and ToxiSENS platforms for virology services and antiviral product development services and in vitro and ex vivo toxicology services.